The spiritual battlefield is scattered with wounded soldiers. Homes are ablaze and under attack. Yet we are told that our weapons are mighty to the point that we not only can survive the attack, but counter attack and take new ground. 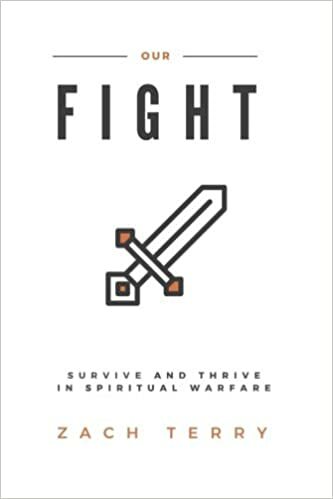 “Our Fight” is a field manual for the solider of Christ’s Kingdom. It helps to identify your enemy as well as explains tactics for bringing about his ultimate defeat. Availible in Paperback, Large Print and Kindle Editions. Click here for more information!